Before I get to the post I have to talk about a very important cause first. One of my favorite authors, NYT bestseller David Farland, is going through a difficult time as his 16 year old son suffered a horrible Long-Boarding accident. He has severe brain trauma, a cracked skull, broken pelvis and tail bone, burnt knees, bruised lungs, broken ear drums, road rash, pneumonia, and is currently in a coma. His family has no insurance. The cost for all of his son's medical issues is going to be more than $1,000,000. In order to help him earn money to pay ease the suffering today authors and book bloggers are joining together to start a book bomb and here's how you can help. 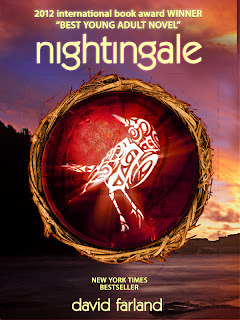 By a copy of Nightingale anytime today, preferably from David Farland's site. It's the A-Z challenge and I'm talking about blogging tips. Today I want to focus on what kind of content should be on your blog. I talked about this a little bit yesterday, but today I want to expand on those thoughts. They don't call it the blogging community for nothing. Blogging is a neighborhood of people who gather on the web becasue they have the same interests. The best way to make sure your blog has interesting content is make sure you're talking about what you're passionate about. I can't talk about this without relating it to real life. When you meet someone in person do you want them to start selling stuff to you right off the bat? What about asking you if you want to enter a contest? What if a random stranger came right up to you and said "I'd love it if you came over to my house sometime!" Sound appealing? Not to me either. Blogging isn't about how it benefits you, that's just a natural side effect. Blogging is about finding readers through putting a part of yourself out there. When you have interesting content, followers will come later. Talk about what interest you, and you'll find other people are interested as well. Be yourself and the everything else will follow. Trying to hard will only lead to overexertion and nothing to show for it. Be consistent in how often you blog. Set aside time to visit other bloggers. Make sure you're engaging the people who visit you by responding to their comments and visiting their blogs. That's it. With time you'll find blogging to be one of the most beneficial things you've ever done, and the friendships make it all worth it in the end! Great tips!!!! I spend hours commenting back but it's worth it. I've made a lot of blogging friends because of it. That horrible about David's son. The benefit of living in Canada is that we don't pay for medical costs like that. The disadvantage of living in Canada is that our taxes are higher and the medical wait times are longer. My son was 13 weeks premature. We appreciated the healthcare system here. For those babies who had to go to the US because there was no room here, the parents had to pay out of pocket and it was VERY expensive. Read about David's son on Donna's site. Terrible! I've never treated blogging as about me. More fun to focus on others. So glad to see other people posting about Dave. I added a blurb to my challenge today as well. It's very kind of you to put the front of this post towards David's situation. What a terrible thing to undergo. That's the worst news ever about David's son. :( Thanks for these tips. Awesome tips! I've slacked off with the consistency thing, but I've been working on it. Baby steps ha. Thanks for the head's up about David -- I will for sure buy his book! Blogging regularly is essential. And if you need to take a break, let your readers know. Will do my best to help David, so sorry about his son. My heart goes out to David Farland. Hubby and I love his books, and he's done so much to help other writers. 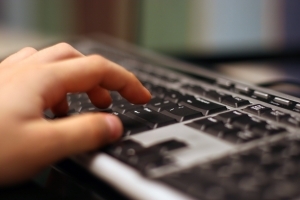 "Blogging is about finding readers through putting a part of yourself out there." And finding some great friends! That's really horrible about David's son. I hope he has as speedy of a recovery as possible. I really believe content is so important. I will skip or even skim blogs that have what I consider billboard content-- flashes of promo and shout-outs. I leave not feeling like I gained anything for my time. Content, and it just has to be what the writer finds interesting-- is king. I'll make sure to grab a copy :) And send out many prayers their way. And interesting content can be a struggle. But that's when creativity comes in, lol. What great tips! The topics on my blogs are all over the place but then so are my interests.